Kaelin Motion provides full video production services, as well as the individual services your existing production my need, including: creative concept; script writing; pre-production planning, logistics and itineraries; single and multi-camera shoots in a variety of High Definition (HD) and Standard Definition (SD) formats; comprehensive lighting solutions to meet a variety of lighting challenges; corrective and special effects makeup, including wounds, aging, beard and wig work; complete video editing and post-production including, audio “sweetening”, graphics, animations, compositing, color correction and more; DVD authoring with interactive motion menus; and compression of video to a variety of formats for use on the web, cell phones, iPods and other devices. Kaelin Motion can also provide use of our teleprompters for electronic script display during shoots, allowing talent to look into the camera while reading the script. 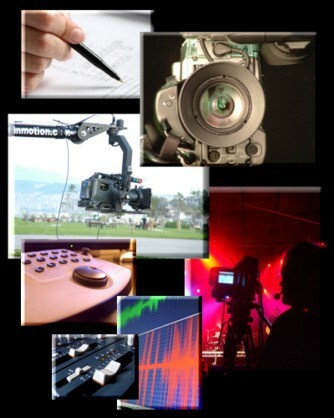 We also offer advanced shooting tools like jib arms (camera cranes); Stedicam; dolly trucks and much more. We also have an extensive library of royalty free production music available to our clients, or we can compose custom soundtracks to suit your needs.